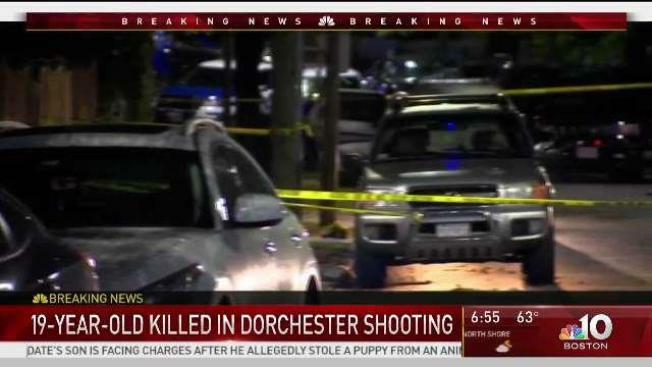 A 19-year-old man was killed early Thursday in Boston's Dorchester neighborhood in what the police commissioner says is the 45th homicide in the city this year. The shooting happened outside on Vinson Street, according to Boston Police Commissioner William Gross. The victim was rushed to an area hospital, where he died. "As you can see, we’re still actively investigating this crime scene," Gross said. "We’re looking for witnesses and as always, we ask for the help of the public. Anything that you can give us will help facilitate this investigation." No weapons were recovered at the scene, officials said. The victim's identity has not been released. Anyone with information on the fatal shooting is encouraged to contact the Boston Police Department District C-11 Dorchester at 617-343-4330.